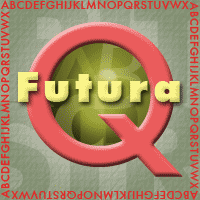 Futura® font is an archtycal twentieth century Geometric Sanserif model, a fully developed version though. Created by Paul Renner, the font form is antique with Greek capitals inscribed by the Cretans almost 25 centuries ago! The history of sans serif typeface is interesting. It all started off during the era of Pythagoras. The Imperial Romans inscribed the Gortyn Code in the tomb of the Scipios with the help of ‘classical revival artisans’ in the 18th century London. This formed the root for first sanserif typeface in the year 1817.